Prison Break - Finale. 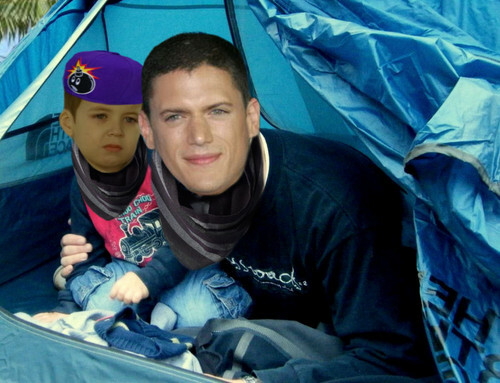 Michael Scofield's family. HD Wallpaper and background images in the Wentworth Miller club tagged: prison break finale michael scofield sara mj wentworth miller. This Wentworth Miller photo might contain tipi, tepee, teepee, sonnenschirm, zeichen, plakat, text, tafel, schilder, and poster.